It doesn’t have to be that way. Since we are called to provide the best possible shaping influences for our children, we must start with the relationship that brought them into the family: your marriage. Whether you conceived and delivered the child yourself or made the mutual decision to foster or adopt, as a husband and wife team you decided to make your family more than just the two of you. Tripp refers to the child as a covenantal being to “…remind us that all human beings have a Godward orientation.” As parents, we either help point our child to God or allow them to [eventually] worship idols. We have a responsibility to our children. It starts with how we act out and fulfill our roles of the covenant of marriage day in and day out. The covenantal relationship I committed to on my wedding day forms an irreplaceable portion of the foundation on which I build my role as a mother. Without emphasizing and demonstrating how I love her father, my daughter will not have a context in which to understand my communication about and emphasis on the discipline needed for her to continue to grow in His wisdom. My son will not have an example of love and forgiveness if he does not witness it between his father and I. Instead of choosing to put my children on a pedestal as too many American parents have – which results in marriages dissolving once the children grow up – I choose to put God on a pedestal and follow His ordinance by putting Him first, my husband second, and my children third. After that, it’s up to Him to guide the rest of my priorities with what His plan is for my life. Don’t buy into American parenting. Put your marriage first. Do one thing today to let your spouse know how important they are to you. Maybe your husband loves a clean kitchen (preaching to myself). Or perhaps your wife would love fresh sheets on the bed and a back rub after a long week. 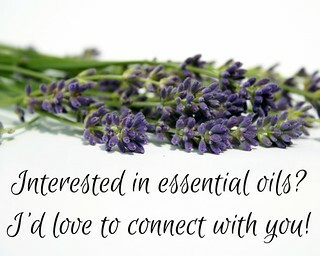 You could also go super simple and leave your spouse a note on the mirror telling them how much you love them. This is part of a 31 day series of shepherding a child’s heart in 5 minutes a day (click here for the series intro). I pray this series edifies you as much as reading Tripp’s book has encouraged and challenged my husband and I in how we raise our children. 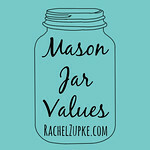 Subscribe to the blog in the side bar if you’d like to get posts emailed to you in a weekly digest or subscribe on your favorite blog reader. I am disgusted with myself. The thoughts that I have let run through my head in recent weeks are appalling, embarrassing, and frustrating. I have done a terrible job letting the Lord take my thoughts captive and I am finally sick enough of myself that I am publicly declaring that I desperately need God’s help (and your accountability/encouragement). And because I haven’t [enter cliche here] let go and let God, I have been harboring everything but contentment…and I want it back. The really sad part of all of this? God has been so good lately. We have been incredibly blessed in nearly every part of our lives. Yet somehow, I think about the things I listed above instead of what God promises us in His Word. Money: what a load of crap (sorry). It’s not money that is evil…it’s the love of money. Or the love of what money can get you. In this example, attention, praise, and pride. The crazy part of this is that God gave Ben a teaching job 5 blocks from home (saving $200+ on gas a month). So we do have more money. And sadly, the first thing I think of using it for is something that brings me glory, not God. Friends: the whole woe-is-me thinking here is really ridiculous, especially when Ben points out examples x, y, and z of how wrong I am. That’s why God gave us husbands, right? To point out when we’re totally deluded? ;) But seriously, God did not make us to exist without each other and I simply need to be patient with this season of life and the friends that He’s given me even if it seems right now that the people who want to/can spend time with me happen to not be close enough to hang out with often. Self-discipline: goodness sakes…this one is embarrassing. Especially because everyone thinks I have it all together. I swear I could waste an entire day – getting nothing done – and somehow still find a way to convince someone walking into my house that I had been working all day. I’m that good at making myself look good rather than actually getting things done. And why? Because I wanted to catch up on That 70’s Show or I got lost in reading how other people have it together way more than I do. Sure, I am fairly efficient but I make excuses for myself rather than exercising this extremely important fruit of the Spirit. And you only get stronger when you exercise…of all people, I should know this. When I lacking self-control/self-discipline, it makes me vulnerable to attack, something I’ve been feeling lately which is entirely my fault. Serving at church: I think this one that makes me loath myself the most…my attitude is disgusting, inexcusable, and downright wrong. Which is what hit me in the face and made me confront my discontentment. We are part of a wonderful fellowship of families who take turns filling up our children’s hearts and minds with Jesus’ love. Yes, we rotate through more than people at a larger church might but that just means we have the privilege of being Jesus’ hands and feet to little ones more often, arguably one of the most important jobs on Earth! Going to a small church means we are known, loved, and supported in ways that are hard to find in larger churches. How could I be so selfish? I hope you are disgusted with me as I am sick that I ever let thoughts like that enter my mind. Blog traffic/readership/contributor sites: somehow I forget that I am a contributing writer. I also forget that when I write something worthwhile about someone worthwhile (like my personal tribute to an amazing professor who passed away suddenly in June). I even wrote a blog post about how God can use even small blogs! How quickly I forget His goodness like the people of Judah that Jeremiah laments; I didn’t show up to my wedding naked so how can I forget Him day after day (days without number)? He asked me to be faithful with a little and I need to be content with that until He gives me more. That’s the long of it. The short of it is that I need to pray more, be in His word more, and line up my thinking with His. Not mine. 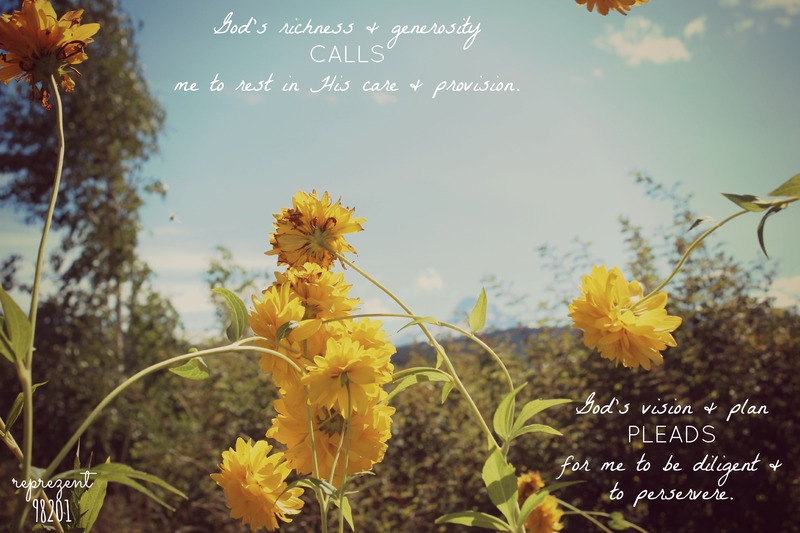 Money: God’s richness and generosity calls me to rest in His care and provision. 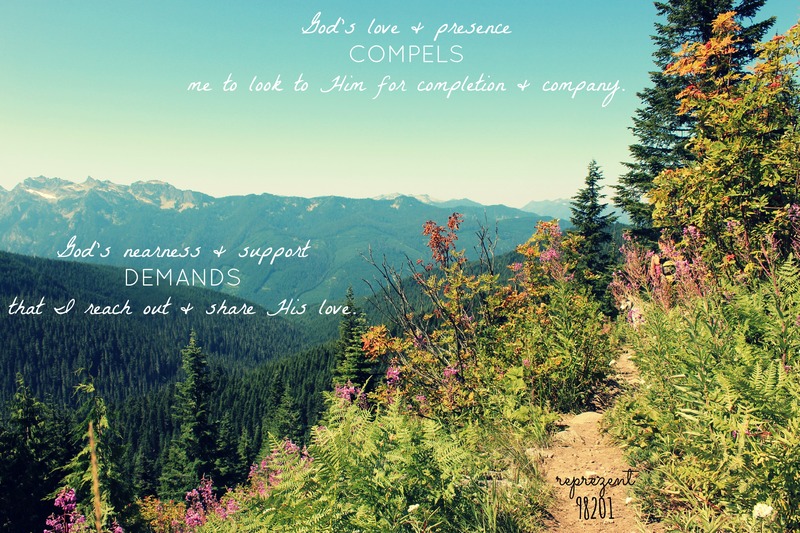 Friends: God’s love and presence compels me to look to Him for completion and company. Self-discipline: God’s perfection and sacrifice commands me to follow His example and exercise my own self-control. Church: God’s goodness and mercy insists that I respond with humility and praise. Blog: God’s vision and plan for me pleads for me to be diligent and persevere. 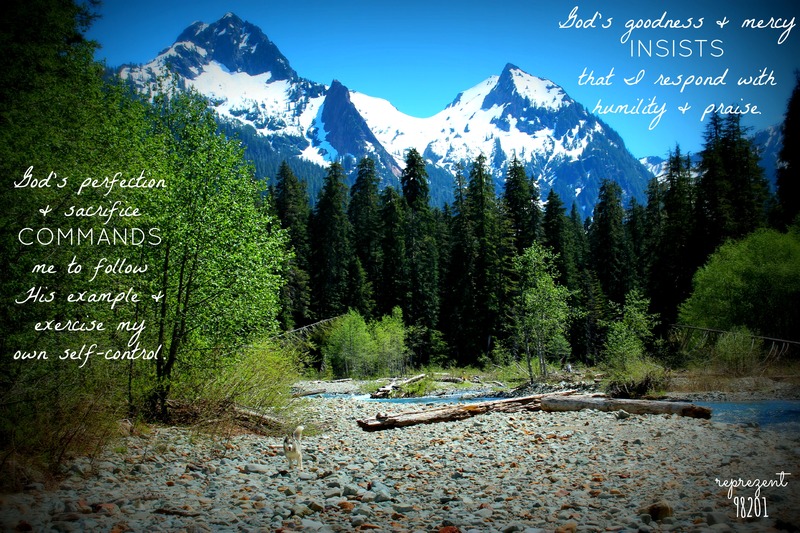 Are you discontent with your own discontentment? Are there any Bible verses/devotionals/blog posts that have helped you with your own hurdles?